When shopping for a wedding DJ, you’ll come to realize that there are two major categories: Single Operator and Multi Operator companies. Single-Ops have one owner, and the company name is usually the DJ’s alias, while Multi-Ops have a more vague name and might have multiple owners, one owner with multiple DJs under their wing, or multiple owners with multiple apprentice DJs. For the scope of this article, we will focus on the pros and cons of Multi-Op DJ Companies. Let’s start with the pros, then talk about the 7 things that they don’t want you to know. There’s usually a headquarters where you can visit and feel assured that you’re not dealing with some fly-by-night business that’s operated out of someone’s den, or worse, a con-artist! If the DJ that was assigned to you happens to have an emergency situation, the company has the resources to quickly replace them and avoid a disaster. Multi-Ops tend to have great marketing materials to inform you about their DJs, like videos of them MCing live, or testimonials from their past clients. They also tend to have more reviews because they might service 3 weddings per Saturday, while a Single-Op can only DJ 1 at a time. So with all this, what could go wrong? Often times, most of what you pay goes into business overhead first, then owner profit second, THEN the payment of the performers. 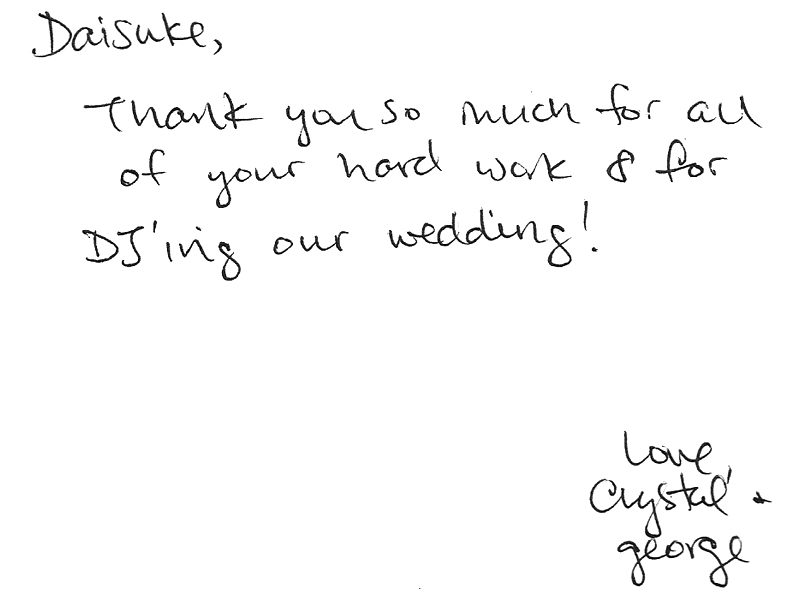 It’s not uncommon for DJs and MCs to make $300 (between the two of them) on a reception. This can really affect who your performer is, especially on the smallest accounts on a busy Saturday. If the owner(s) do go out, chances are they are servicing the highest paying contracts, and if you’re just having a reception and didn’t go with the décor lighting, Ceremony service, etc, you’re more than likely getting a lesser DJ. Sometimes they moonlight and you can find them through other channels at a fraction of what you paid (albeit you won’t get the services from the company leading up the wedding day). These are less established DJs who are new to the wedding industry and have fewer than 100 weddings completed and don’t take ownership in the brand, or have a reputation and livelihood to protect. Your wedding is nothing more than on-the-job training for them. If you’re planning on getting the whole shebang from this company, this is less of a concern, but you’re probably going to fall into this category if you’re choosing a company as a price-conscious bride. Because the performer on the day of your wedding has less incentive to perform at your wedding than what you might think after what you spent with the company, they are more liable to quit at the first sign of resentment or discomfort, get fired for diminishing results (might be right after your wedding) or blow things off at the last minute. You’d be surprised how many calls I get throughout the year from brides, especially when there’s a local NFL game coming up in a few weeks. But don’t worry! The company has another guy just like him to take his place right away! 😀 This happens much more often than you might think. 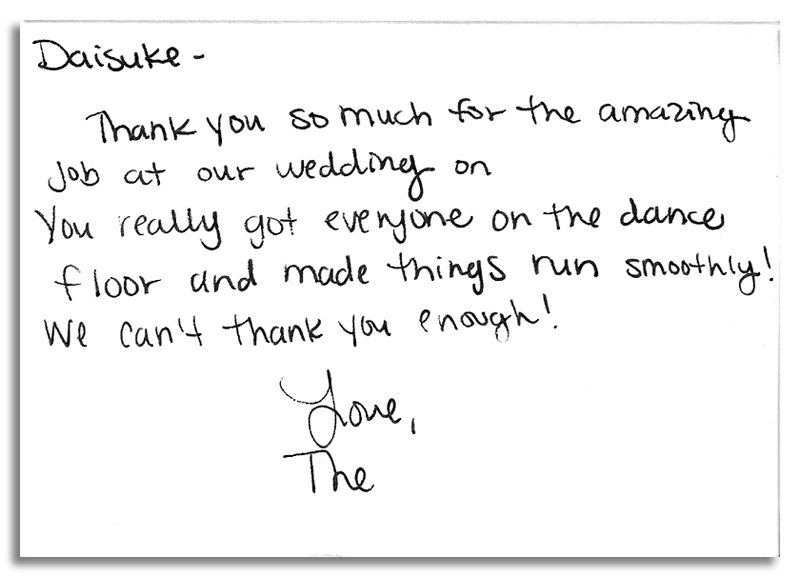 Take a look a this recent bride’s story. Okay, so you you’ve booked the bigger package and you were lucky enough to get an owner to perform at your wedding. If there is a no-show or meltdown taking place at another wedding, the owner is probably going to be making phone calls to solve that situation during setup, which can delay your event. Because these employee / contract DJs makes significantly less than the owner, they live more precarious lives. It could be engine trouble. It could be a flat tire. We’ve all been there. I empathize with anyone trying to make ends meet, but don’t you deserve a DJ that’s focused on your best interest on your wedding day? Because the performer is less in contact with you, the relationship might be pretty impersonal. You may have spoken to this person once over the phone and they are now running your reception. 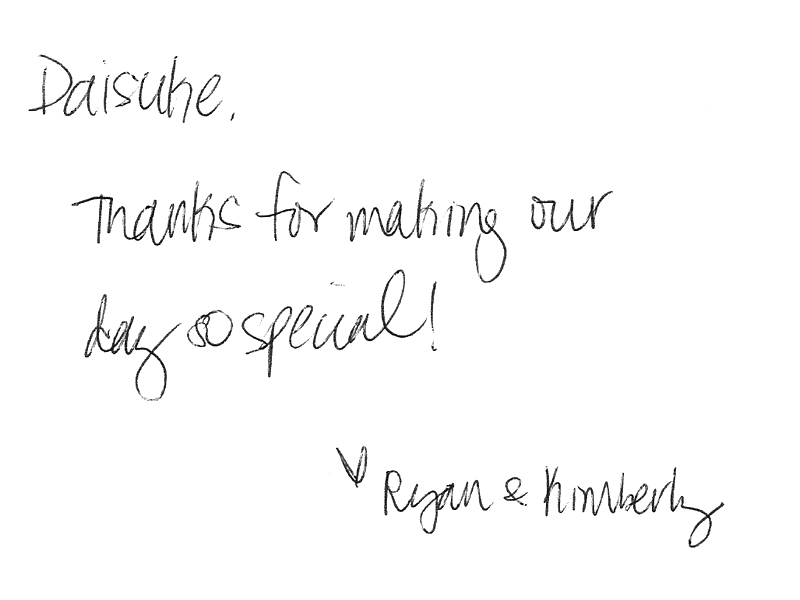 This might not bother you depending on who you are, but a little rapport goes a long way on your wedding day! The largest Multi-Ops often have a dedicated receptionist to answer calls and emails. This sounds great until you find out that the first girl you spoke to and really felt a connection with A) was an intern working there for the summer or B) was using the position to test the waters in the industry, or as a stepping stone to hone their skills for their next career move (probably to become a coordinator). It’s uncommon for a company to have the same receptionist for more than two years, unless it’s a family owned business. The person you speak with at the beginning of your consultation, say 9 months before your wedding, has often left by the time you call two months before the wedding, and sometimes the emails you sent them have not made it to the new hire, in their entirety. Why would it? That last person is off to do bigger and better things with their lives! In the meanwhile the new hire is learning how to use the client management system, and they are not proficient with it until they’ve had a few months with it. Then soon after, they are gone again! If your wedding is used as a marketing subject, you can expect extra bodies to be photographing or filming your grand entrance and first dance, which is not only unsightly, but often also means there are more people to feed (vendor meals!). Every once in a while, you might have a prospect bride crash the beginning of your reception to watch your DJ live in action, just to see if they might want to book the company. These are issues that come up much less often, and most companies have the commonsense to ask you for permission before moving forward with it, but you probably won’t hear about it until about a week before your wedding when everything is coming down to the wire. My advise for this is, don’t give in without some sort of concession. Multi-Ops definitely look better on paper when you’re shopping. This is because a majority of their resources go into how they appear to shoppers, and not on how they deliver to clients. Your experience with them while you are in the market, isn’t indicative of their service after you’ve bought from them. You might notice this in many other industries, like apparel for instance. Fast fashion outlets have bright and shinny advertisements and retail stores. They sell you cheap products on compulsion and emotion, and they are designed for you to throw away after a handful of wearing. If you want the good stuff that last, you’re better off visiting a boutique store where a small experienced staff has poured their blood, sweat and tears into designing and delivering a product they can stand behind, their expression of beauty, to the highest bidder. It would be unfair to generalize all multi-ops as bad, or all single-ops as good. Certainly, there’s a spectrum for both. 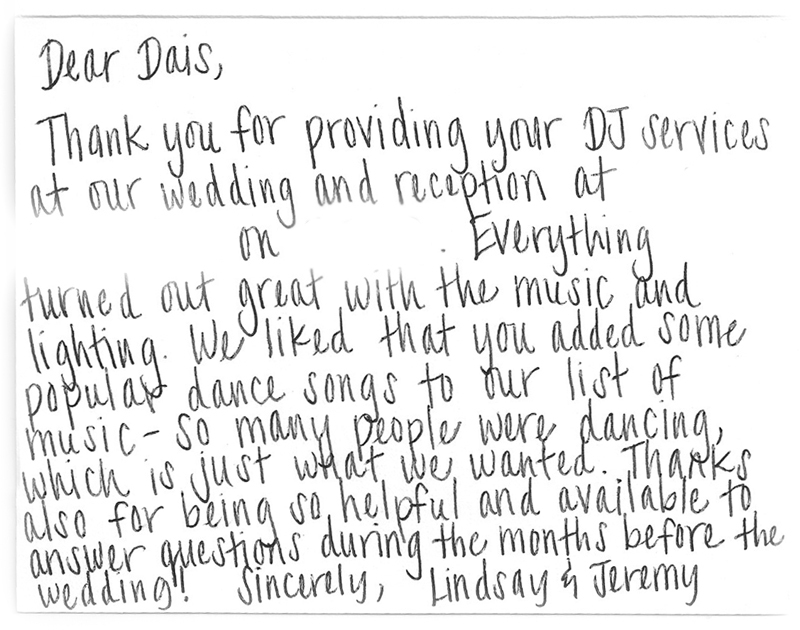 These are just some of the concerns that you deserve to be empowered with when shopping for a wedding DJ. Please don’t end up on a bridal forum a few months, or a year from now to warn others of how poorly you’re being treated. At the time of writing, I am at about 300 weddings under my belt which puts me at the expert level. However, my mentor has OVER 2000 under his belt! That basically makes him a Grand Master twice over! 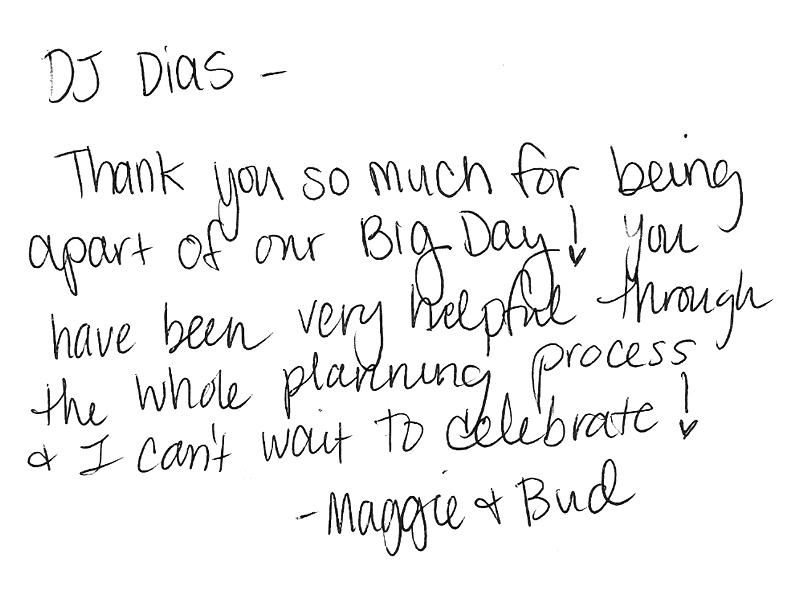 I’ve seen him do things that completely blows me away in terms of coordination and making announcements, and also marketing with bridal consultants, which is his main stream of referrals. I’m working hard to hopefully be where he is in the next 10 years, but the gulf between us is like the difference between Daniel LaRusso and Mr Miyagi. I will need to Crane Kick my way into Super-Stardom! In my defense, I have easily more than 10,000 hours of mixing records under my belt over the past 20 years, and I do consider myself a master of the mix, but again, I have mentors in that field that totally blow me out of the water too. Learning never stops!